"The Sportsman racer has been and will continue to be one of the most important components of the Summit Racing Equipment family," Summit Racing Motorsports and Events Manager Jim Greenleaf said. "We are proud to support the men, women and kids who gather at their local IHRA tracks to participate in the Summit SuperSeries and Summit Team Finals. It is a great feeling for us to see champions from all over the United States, Canada, and Aruba show up in Memphis for the Summit World Finals to race head-to head for an IHRA World Championship." 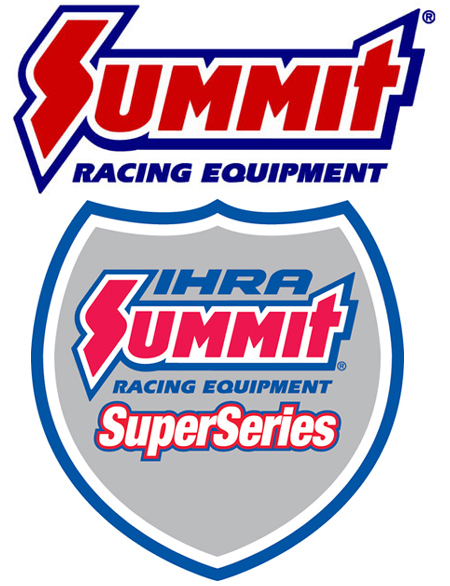 "The Summit SuperSeries and Summit Team Finals are wildly successful programs that saw an increase with new members and increased participation in 2018," IHRA Vice President Skooter Peaco said. "The programs bring together IHRA-member tracks and racers in an environment which features great competition and builds outstanding camaraderie and lifelong friendships. We are proud to continue our efforts in the successful program."